This set of?í´íë_stamps works perfectly with the Invite . 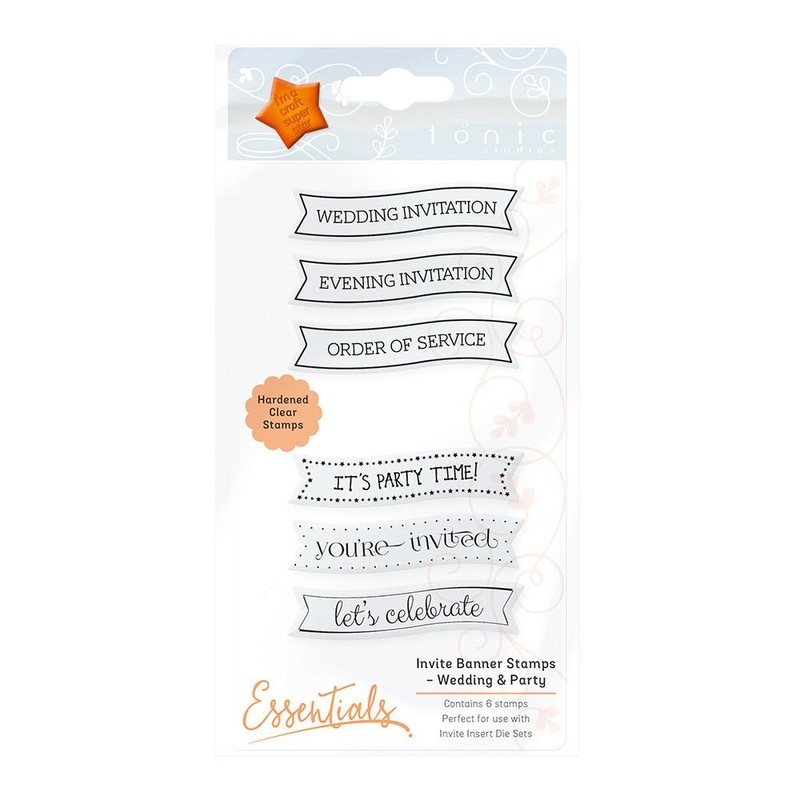 This set comes with 6 clear hardened stamp each with a beautiful sentiment that makes it perfect for any wedding card. The sentiments read íë_íë_íëí‰Wedding Invitationíë_íë_?, íë_íë_íëí‰Evening Invitationíë_íë_?, íë_íë_íëí‰Order of Serviceíë_íë_?, íë_íë_íëí‰Itíë_íë_í«íšs Party Timeíë_íë_?, íë_íë_íëí‰Youíë_íë_í«íšre Invitedíë_íë_? and íë_íë_íëí‰Letíë_íë_í«íšs Celebrateíë_íë_?. This works especially well with the Beautiful Banner Invite Die set 1507E because it has an area that matches the stamp perfectly. This can be combined our Nuvo products like Embossing powder to give it extra dimension.